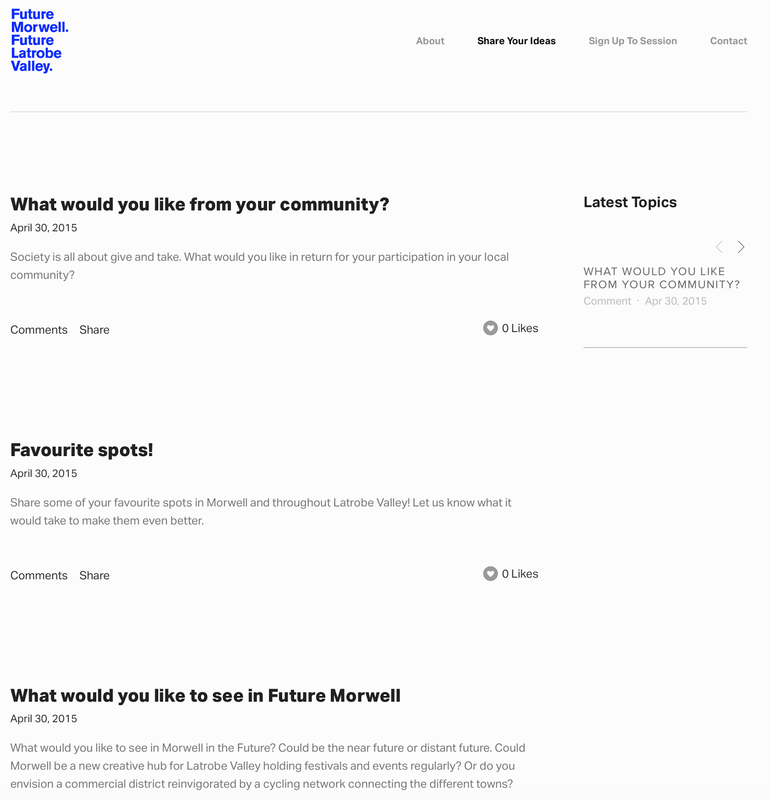 We have also launched the online discussion forum where you can 'share your ideas' or suggest other topics that relate to 'Our Future Morwell Our Future Latrobe Valley'. To kick off the conversations we have provided the following topics that you can already contribute too. What would you like from your community? How would you activate the town? What represents a city's heart? What is a town gateway? What do you envision Future Morwell's streetscape to be? Please Visit http://futuremorwell.com/haveyoursay/ to join the discussion with other members of your community!